Space Images | Spokes Sighted Again! 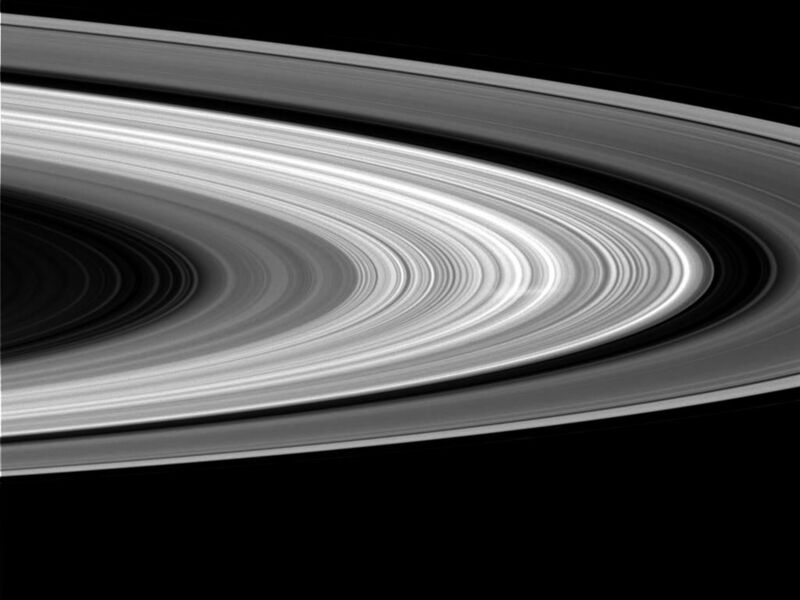 This image from the Cassini spacecraft shows a ghostly white streak, called a spoke, in Saturn's B ring. 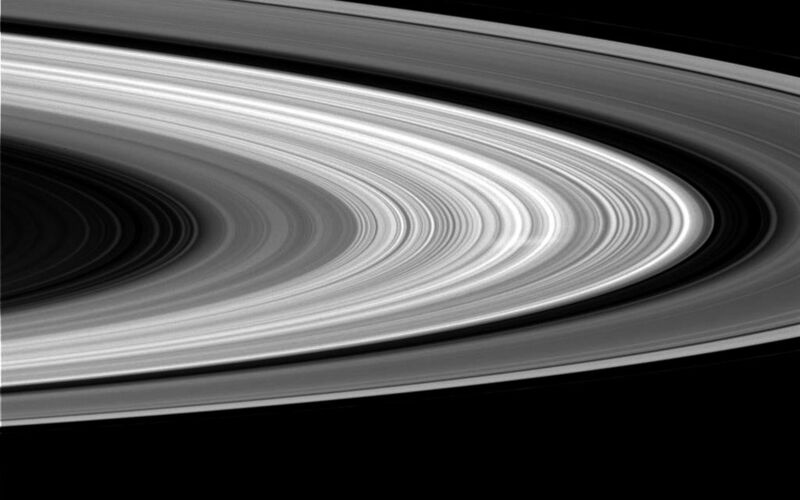 This is the first sighting of a spoke in nearly a year, and the first spoke seen by Cassini on the sunlit side of the rings. It is also the first spoke seen at high phase angle -- that is, the angle formed between the sun, the rings and Cassini. 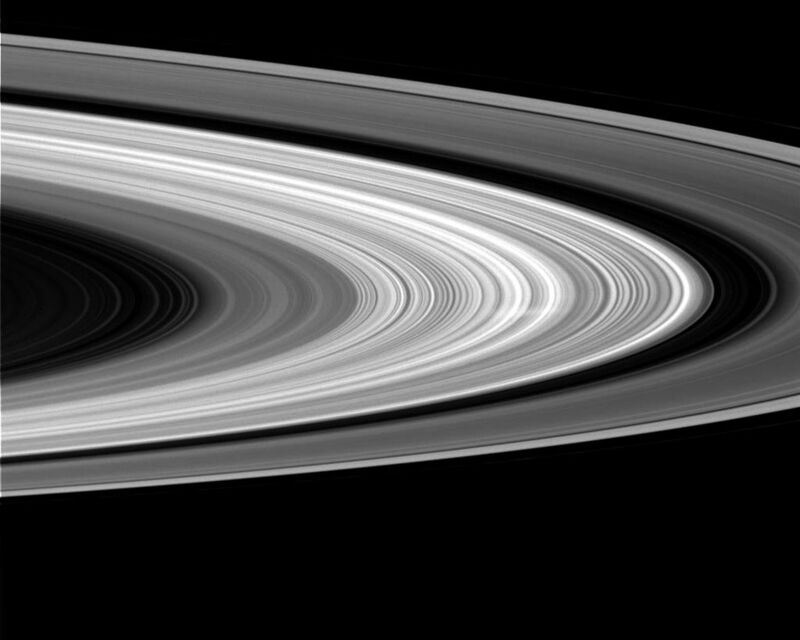 In this geometry, the feature appears white (instead of black) against the rings because the very small particles comprising the spoke preferentially scatter light in the forward direction (i.e. 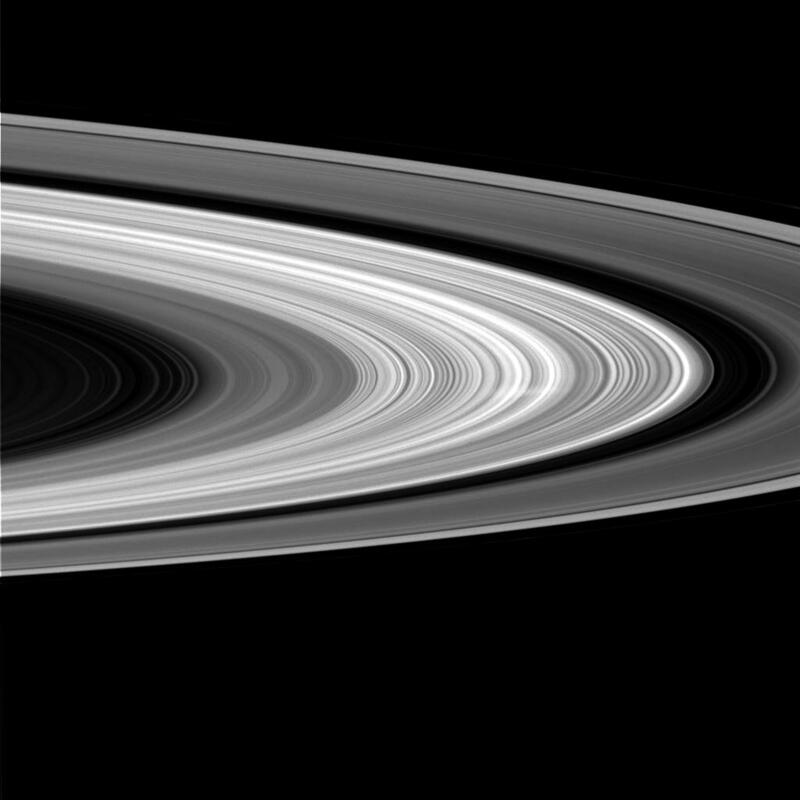 toward Cassini), making the spoke brighter than the background rings.